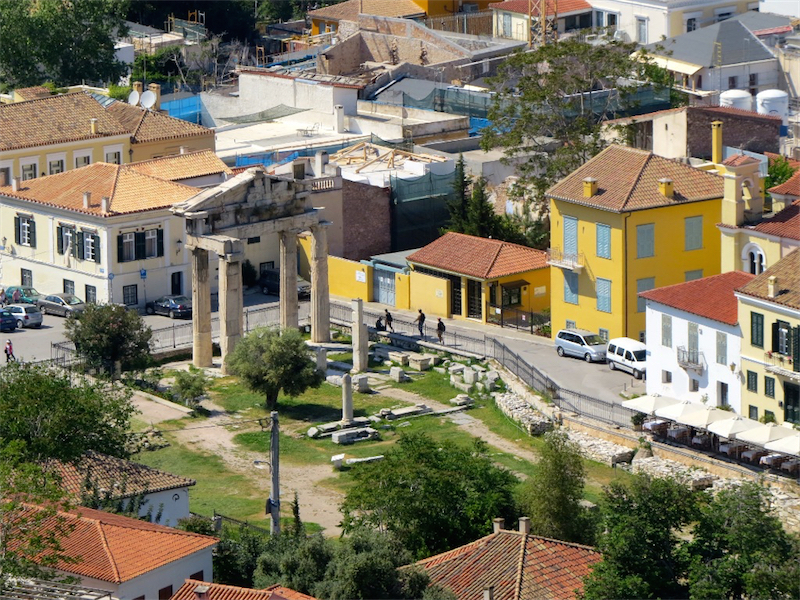 Athens has been the center of Greek civilization for some 4,000 years. 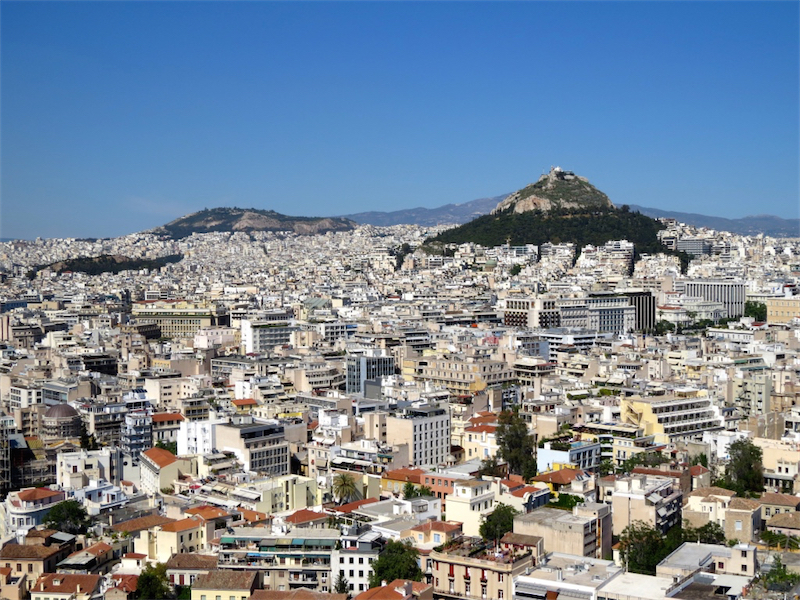 The capital of modern Greece, it’s still dominated by 5th-century-B.C.E. 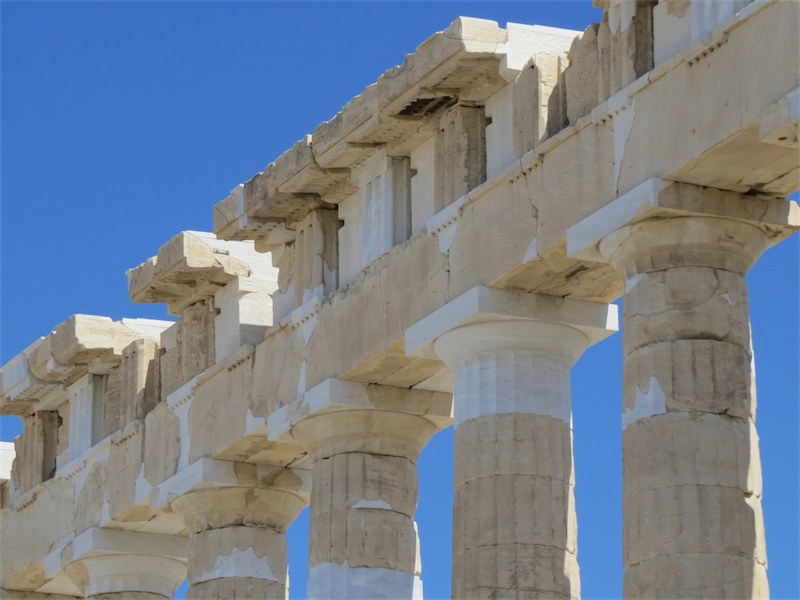 landmarks, including the Acropolis, a hilltop citadel topped with ancient buildings such as the colonnaded Parthenon temple. 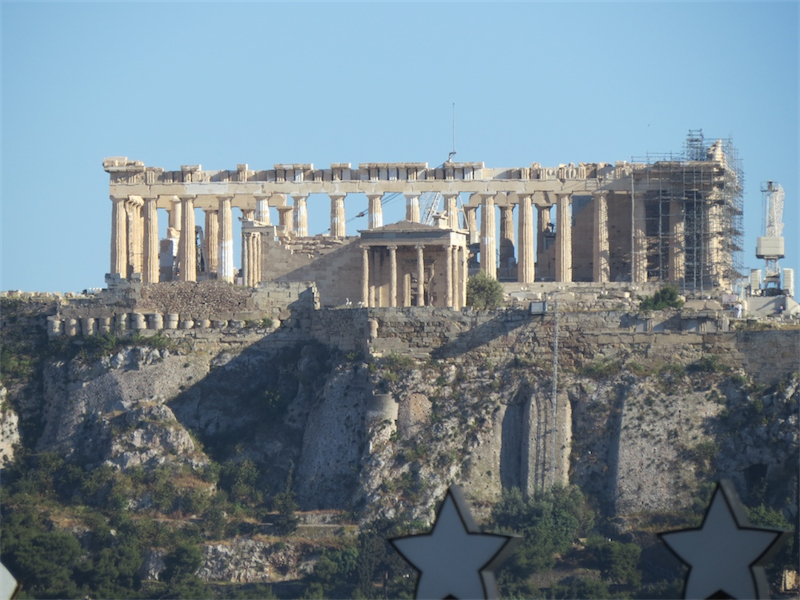 The view of the Parthenon on the Acropolis from our hotel rooftop bar. 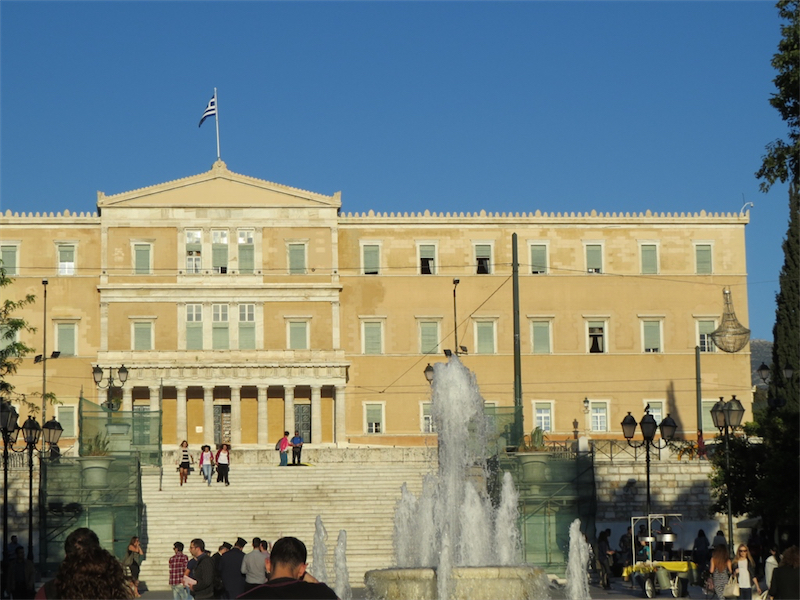 The Old Royal Palace, which has housed the Greek Parliament since 1934. 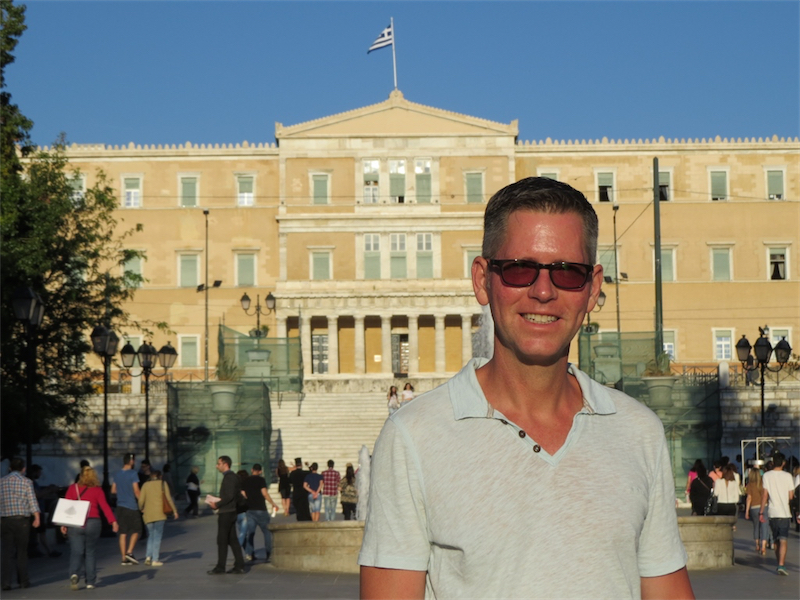 In front of the Greek Parliament in Syntagma Square. Move your mouse over the image for a different shot. 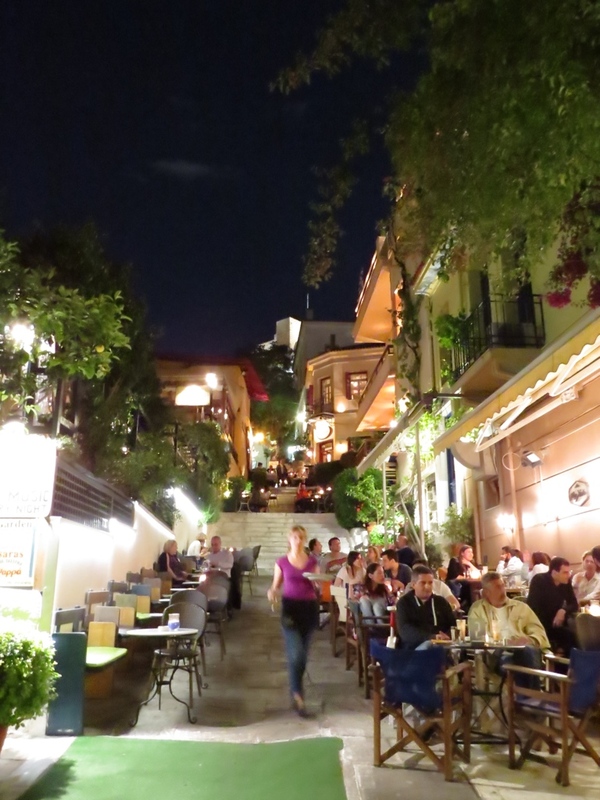 The Plaka area at night. 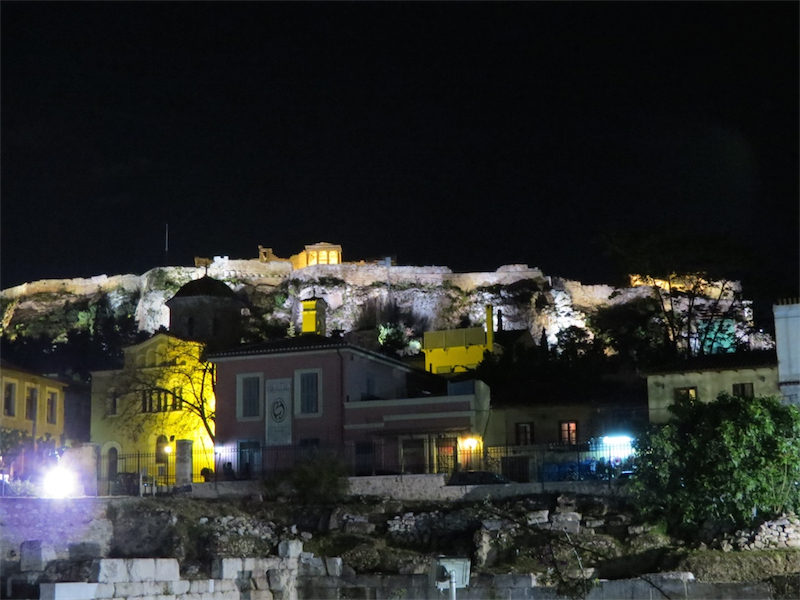 The Acropolis at night as seen from the Plaka. Move your mouse over the image for a close up. 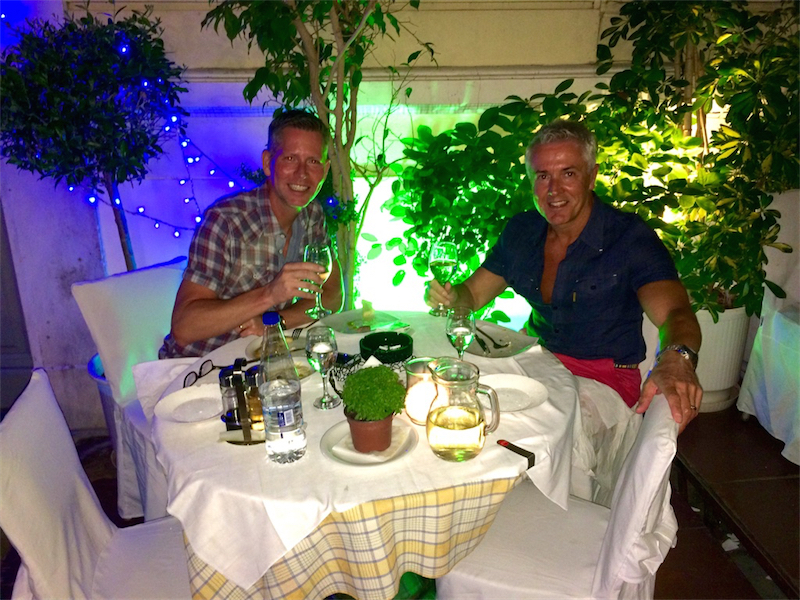 Having dinner in the Plaka. 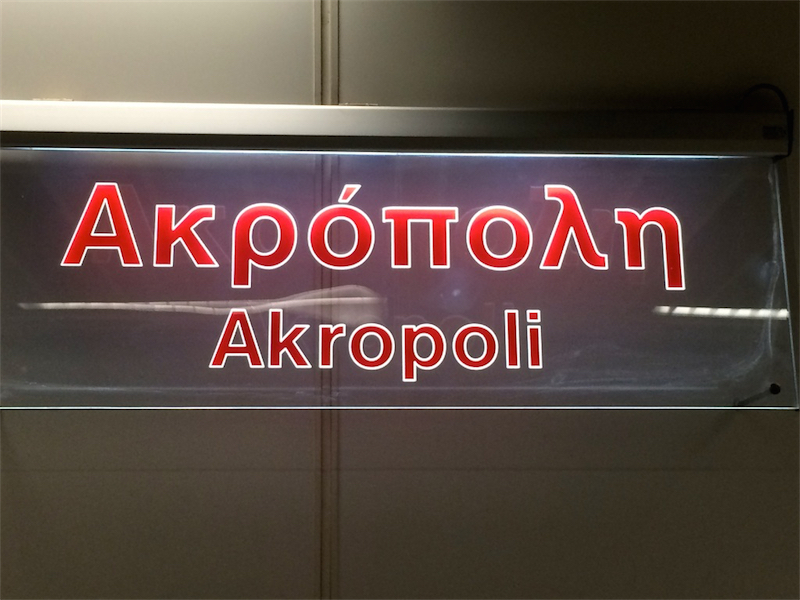 The Acropolis station on the surprisingly modern and efficient Athens Metro system. 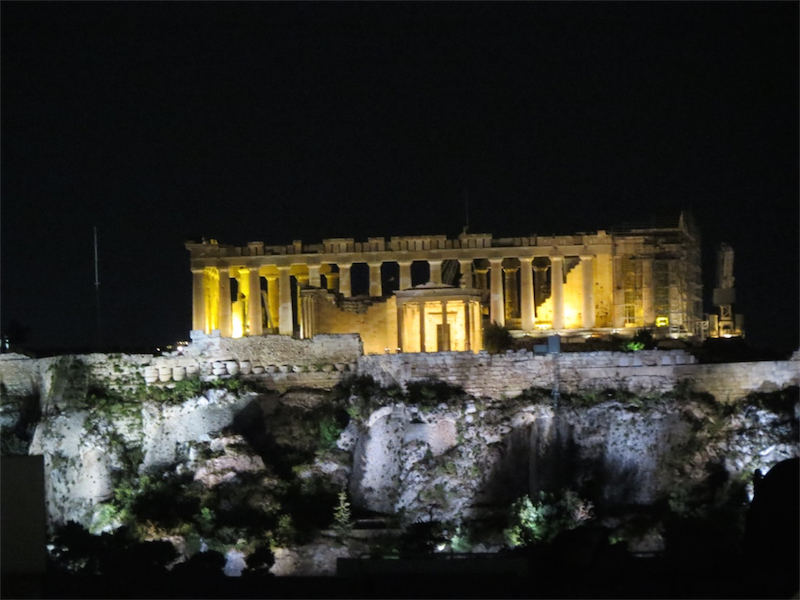 The Parthenon at night from the rooftop bar of our hotel. 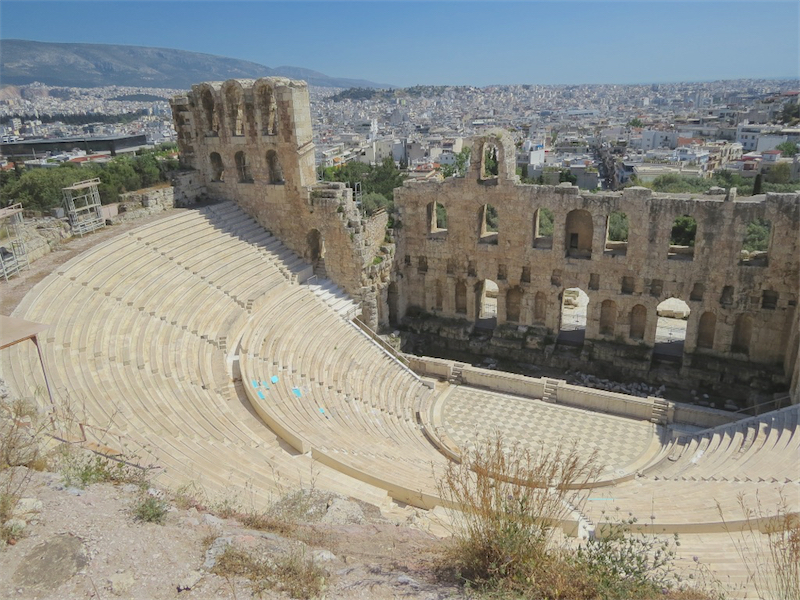 The Odeon Herodes Atticus on the southern slope of the Acropolis. 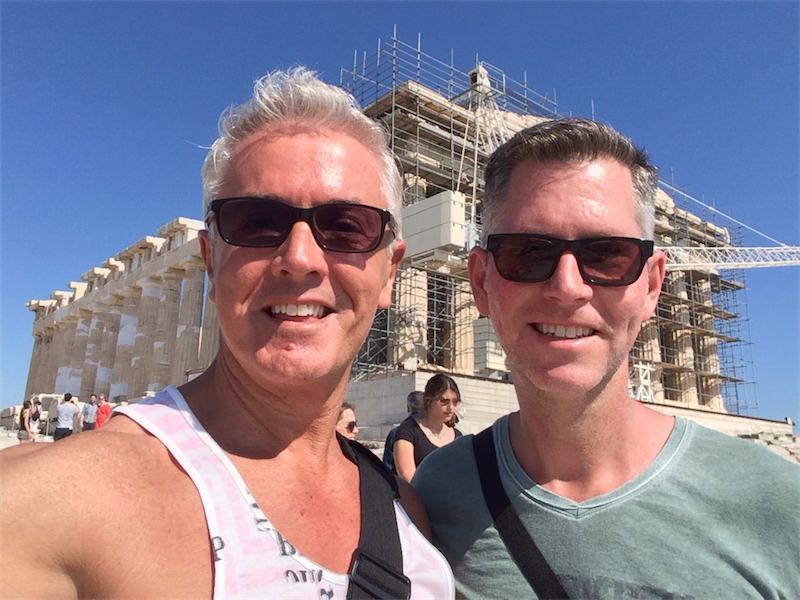 The obligatory selfie in front of the Parthenon. 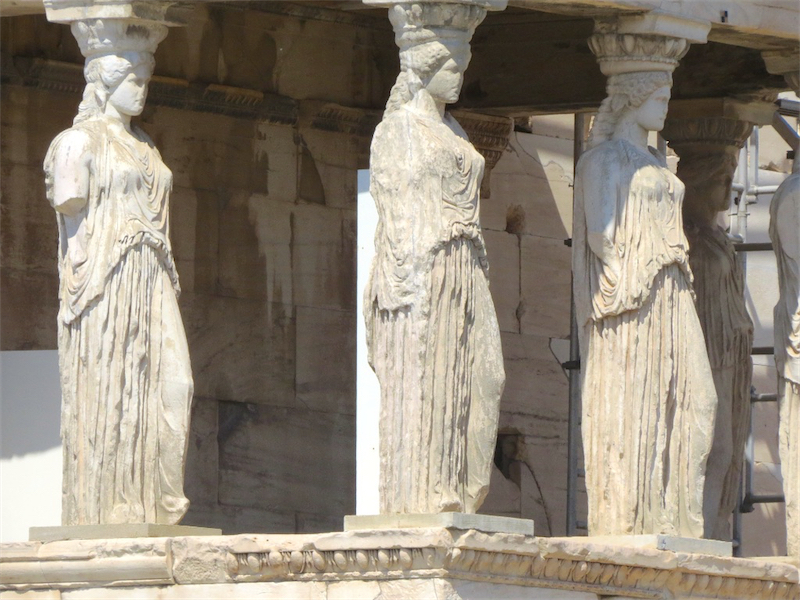 Some of the many shots I took on the Acropolis. 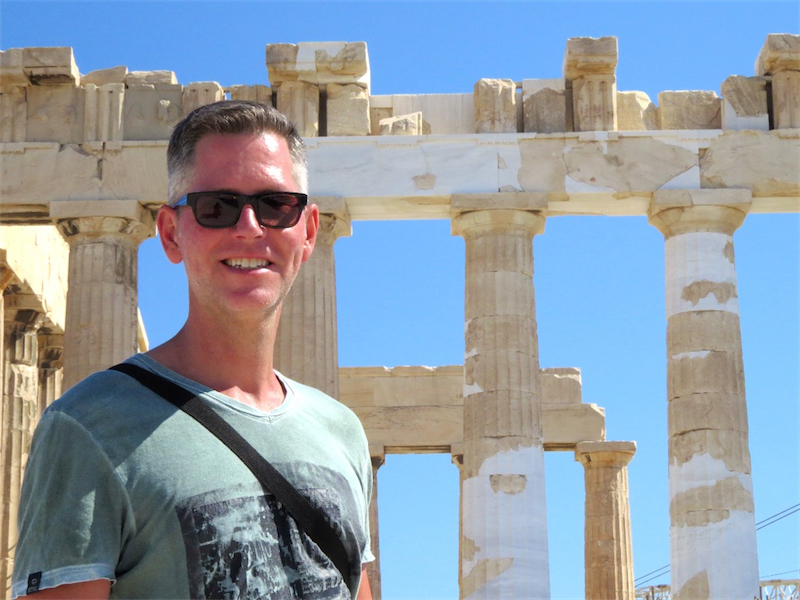 The views on the Acropolis are so breathtaking and dramatic, it was hard to select the best ones. 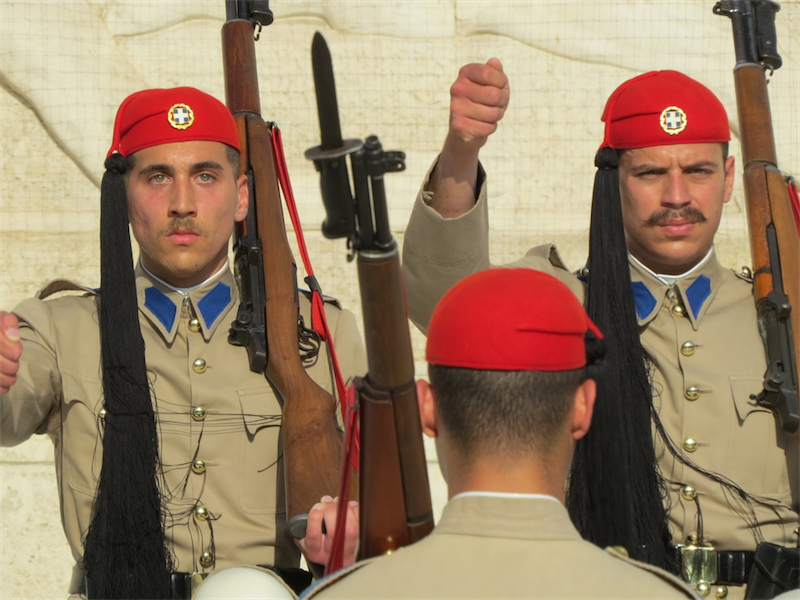 And yes, the sky really is that blue! 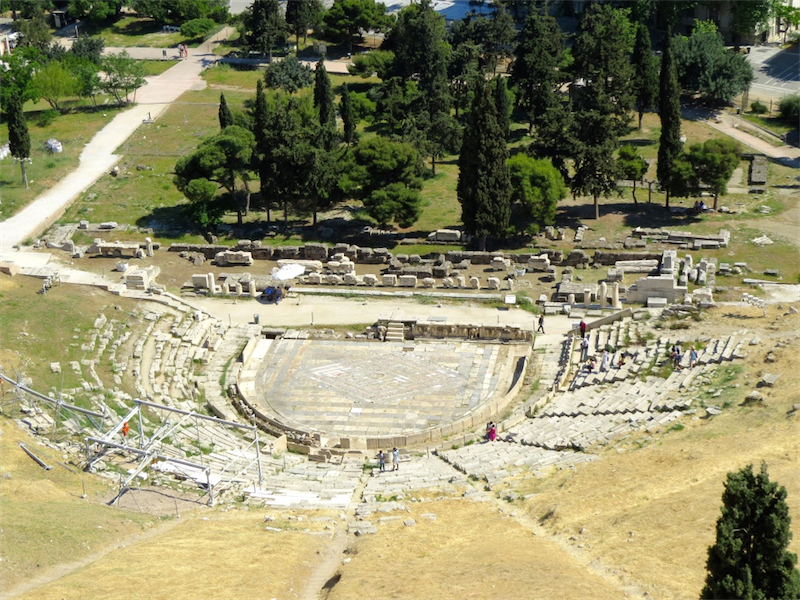 The remains of the Theatre of Dionysus, seen from the Acropolis. 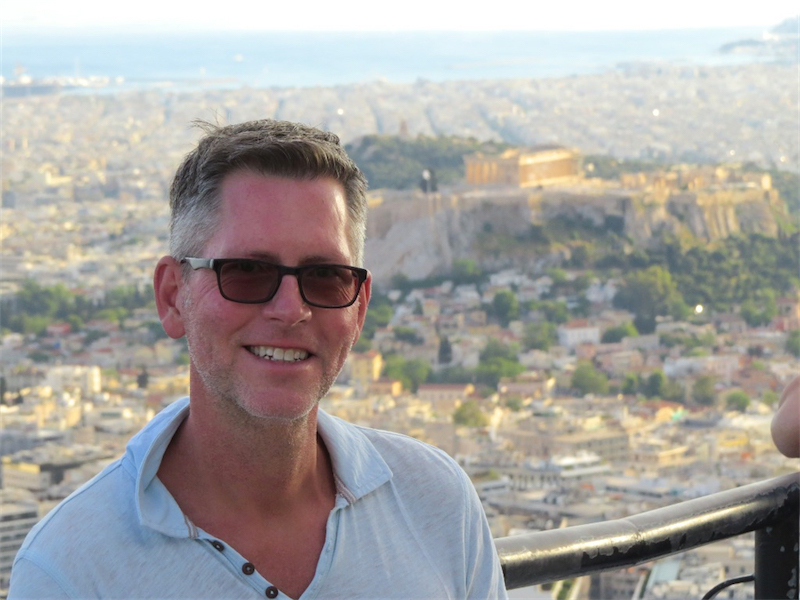 Ian on the Acropolis with the Temple of Olympian Zeus in the background. 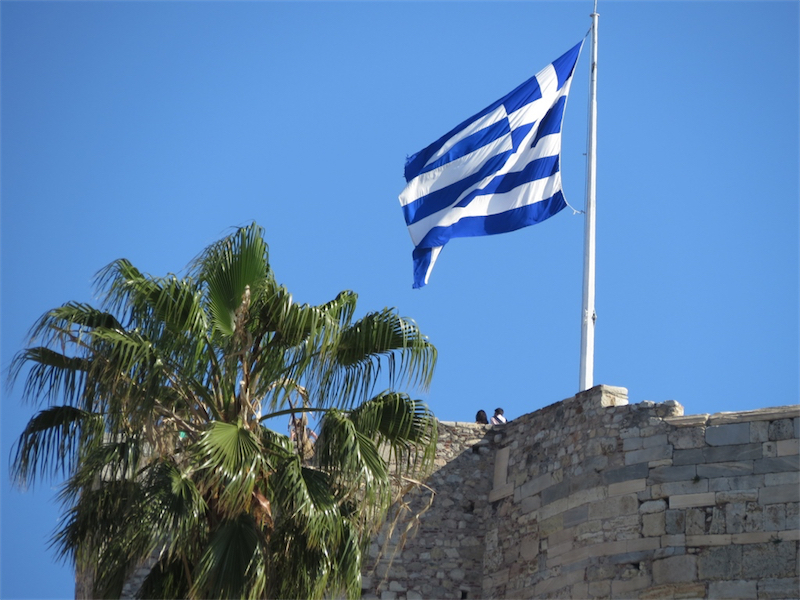 The view towards Mount Lyccabettus from the Acropolis. 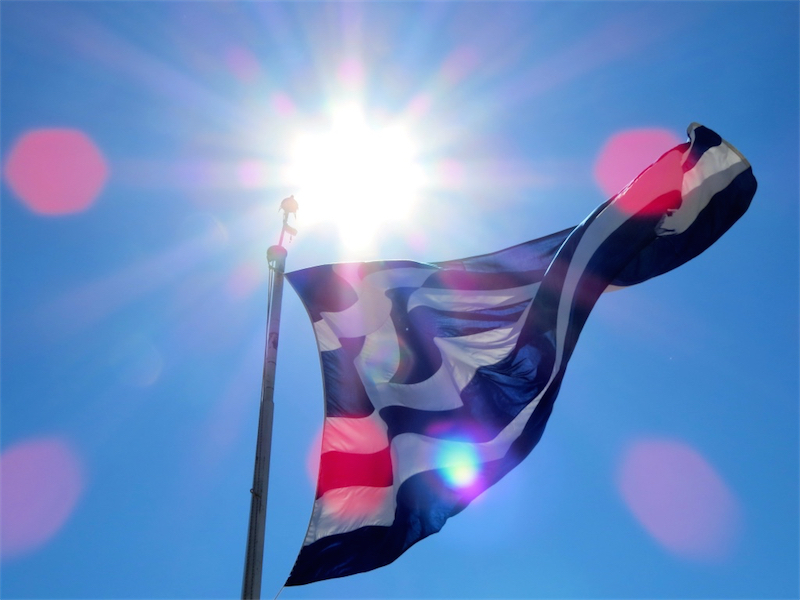 The Greek flag on the Acropolis. 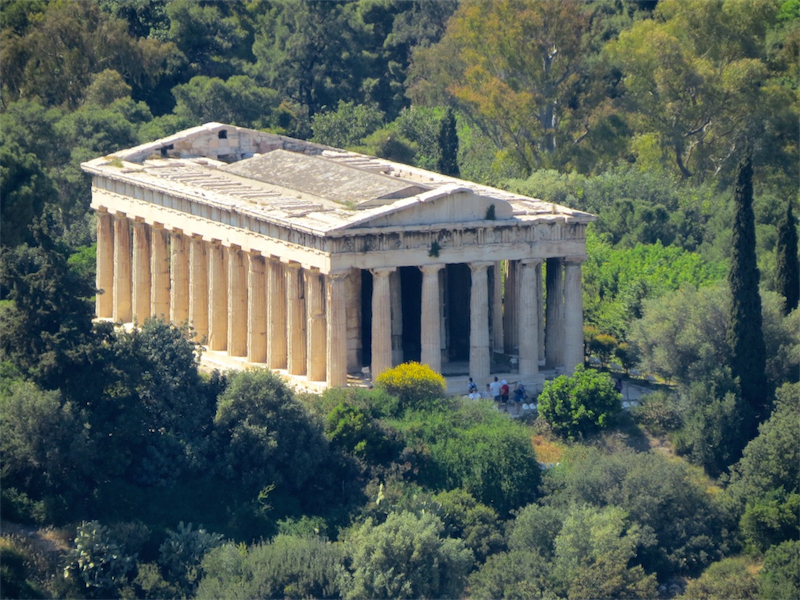 The Temple of Hephaestus in the Ancient Agora seen from the Acropolis. 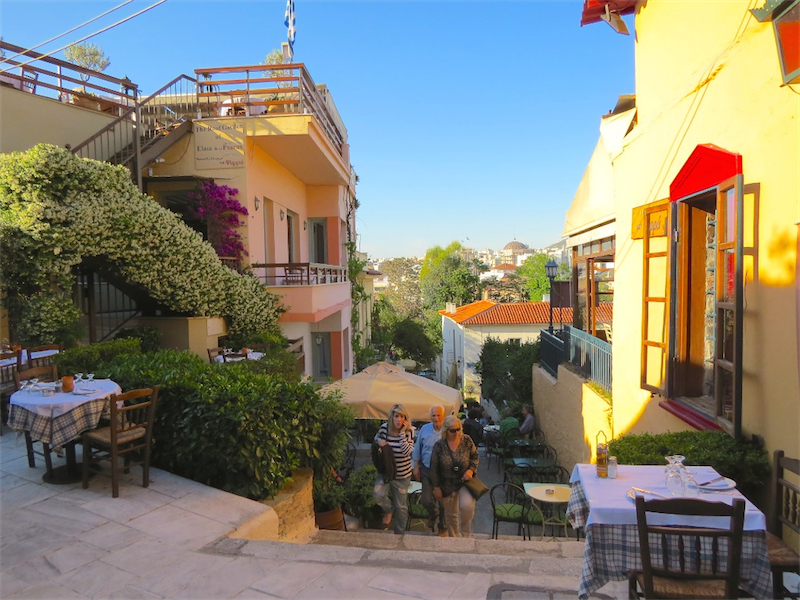 A view of the Plaka from the Acropolis. 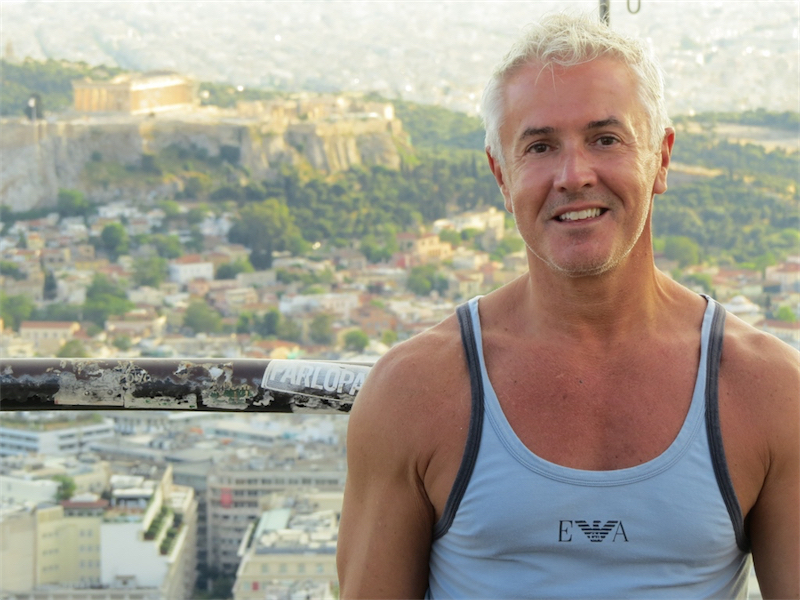 Two shots of Ian on the Acropolis. 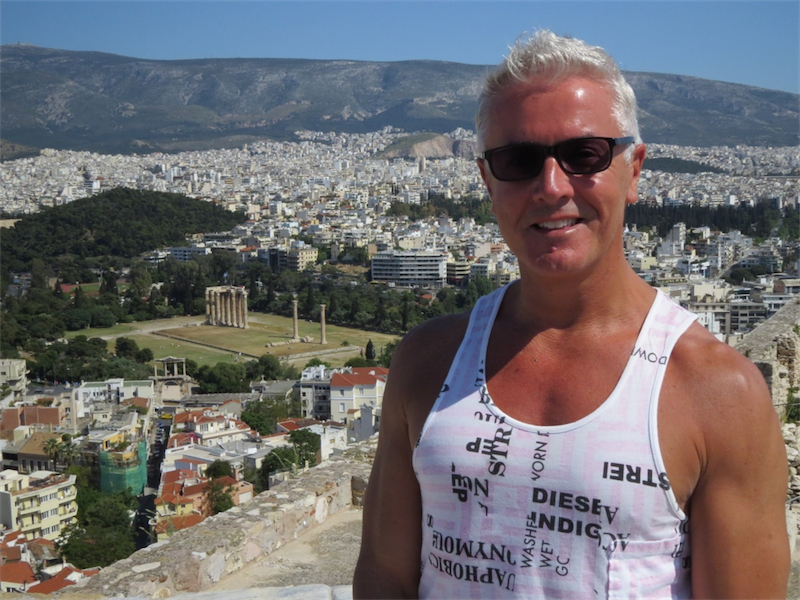 Two shots of Allan on the Acropolis. 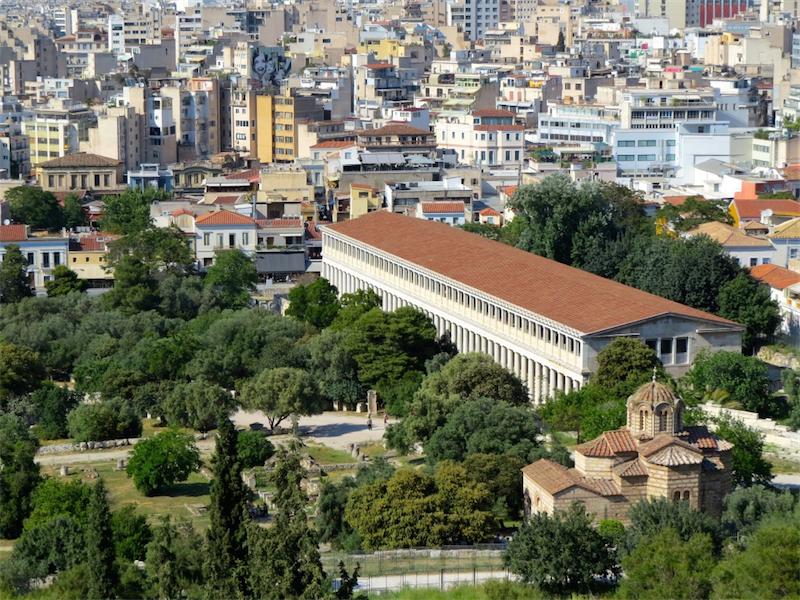 The reconstructed Stoa of Attalos seen from the Acropolis. 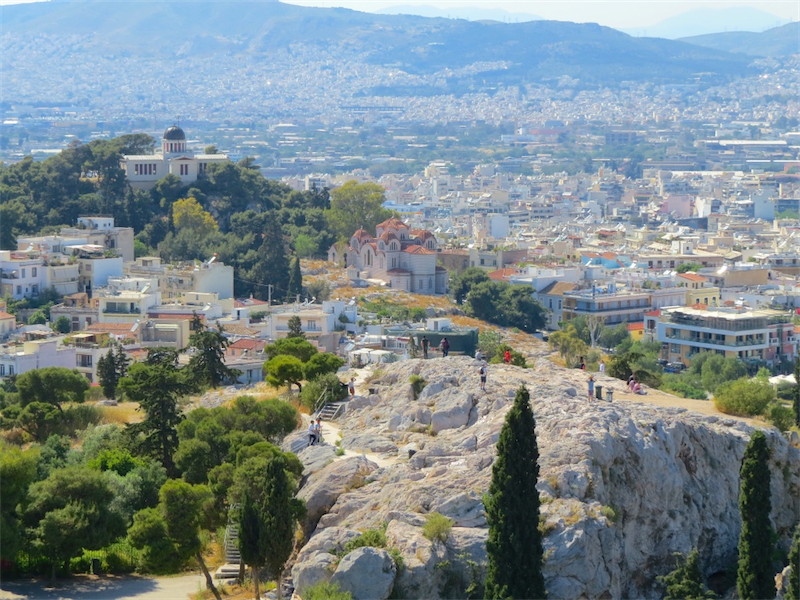 A view towards the Areopagus from the Acropolis. 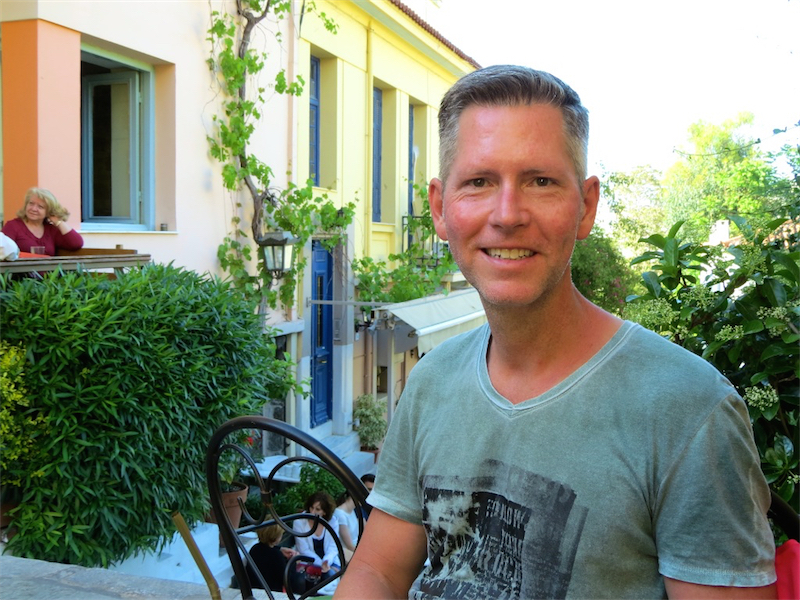 Two shots in the Plaka. 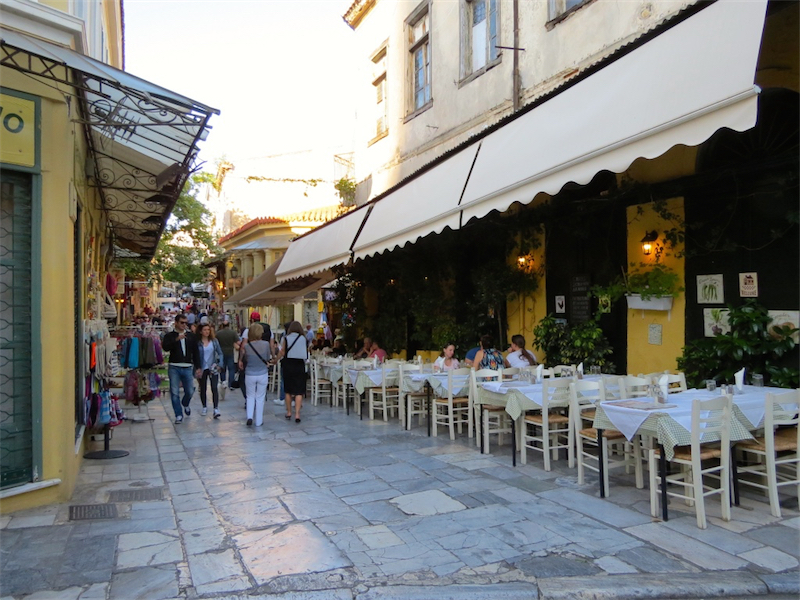 Street scene in the Plaka. 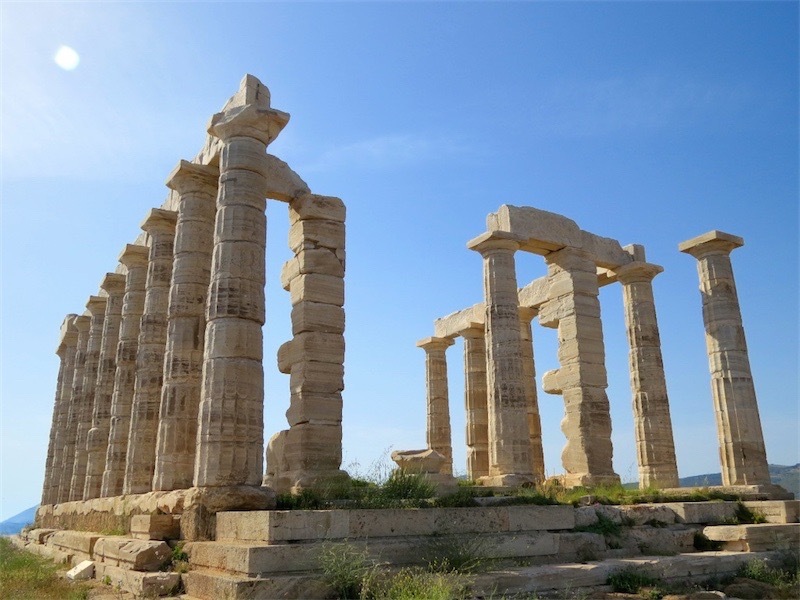 The Temple of Poseidon at Cape Sounion at the southernmost tip of the Attica peninsula. 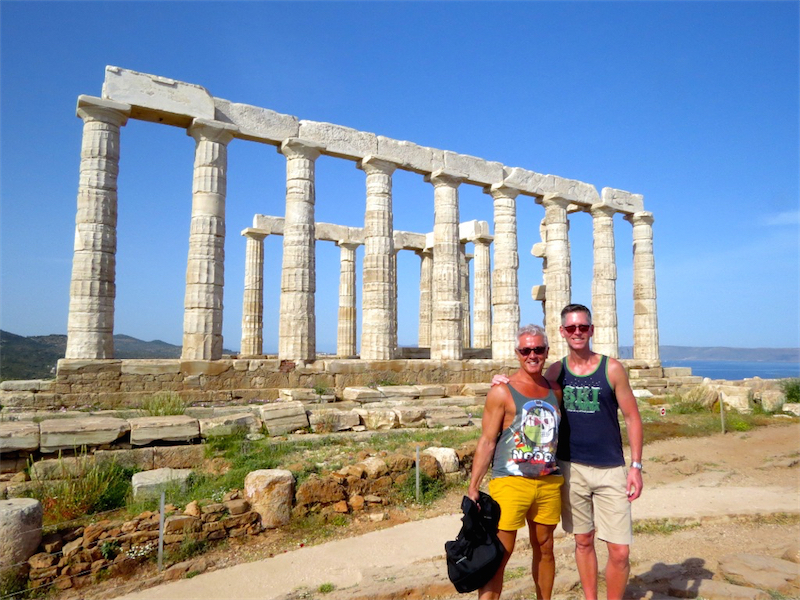 Two views of the Temple of Poseidon. 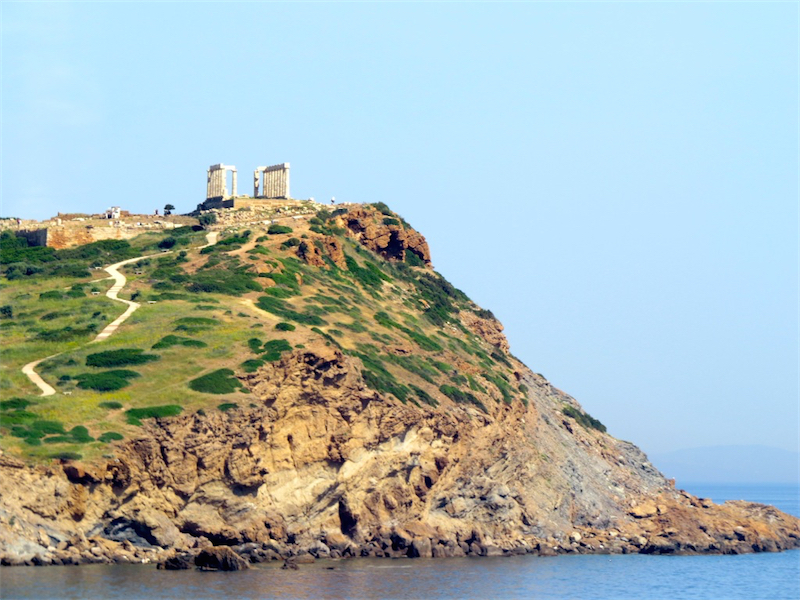 Lots of really dramatic scenery at Cape Sounion. 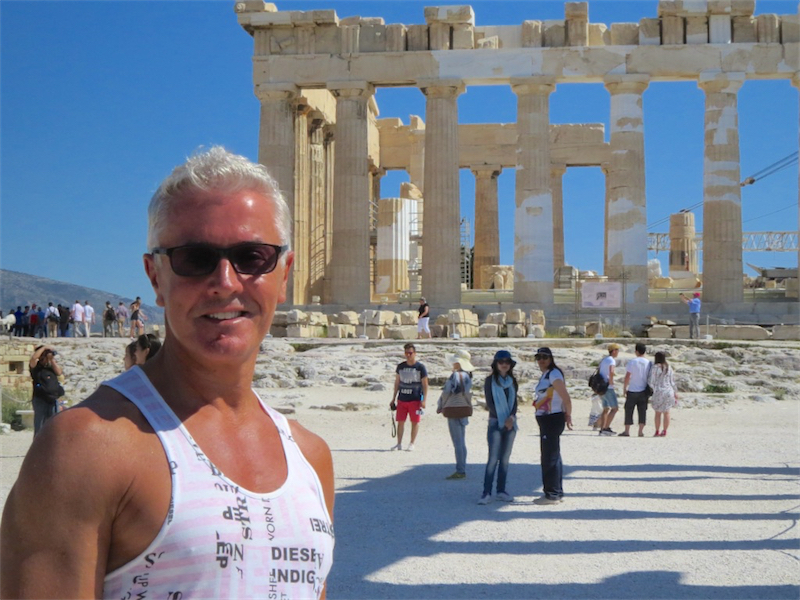 At the Temple of Poseidon. 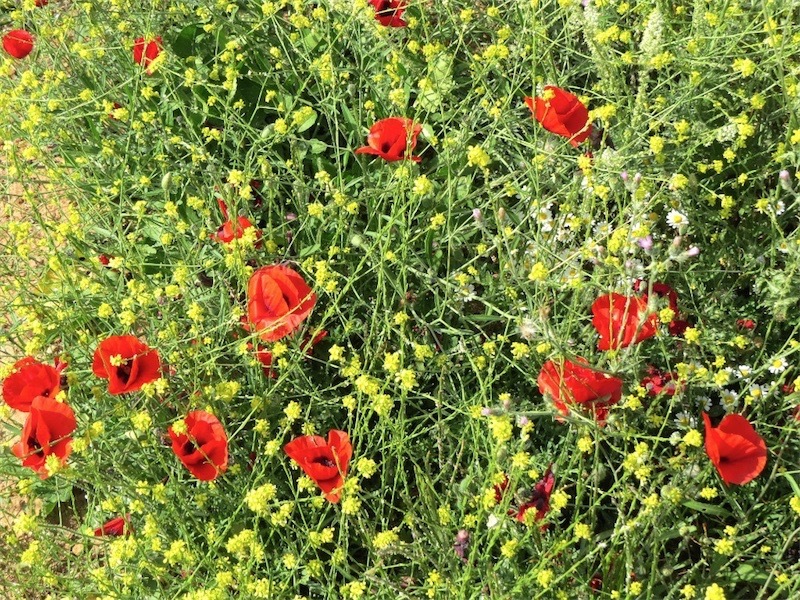 Poppies on the grouds of the Temple of Poseidon. 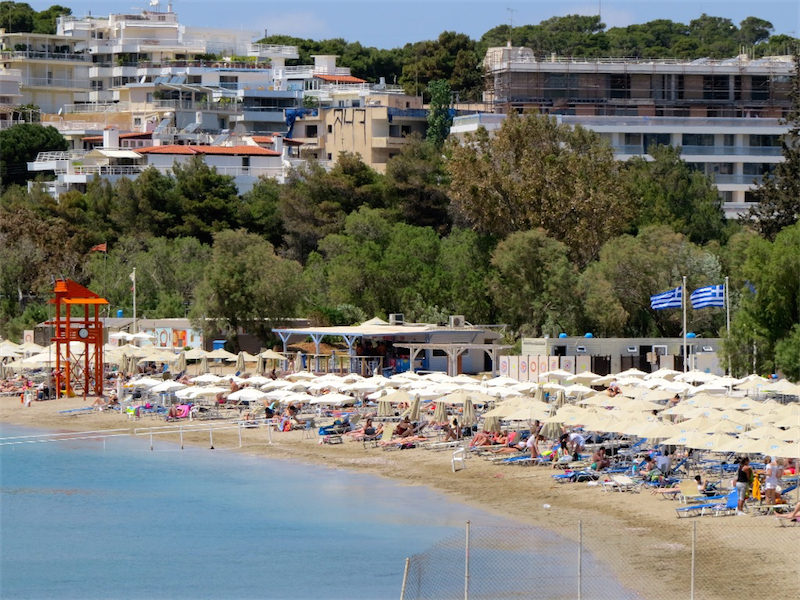 Two shots of Vouliagmeni Beach. 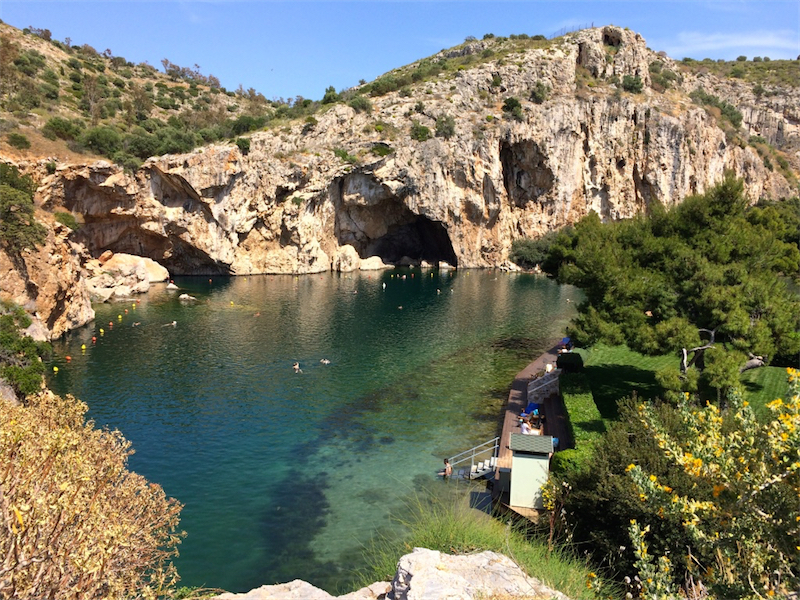 Lake Vouliagmeni ("Sunken Lake") is a small brackish water lake fed by underground currents seeping through the mass of Mount Hymettus. 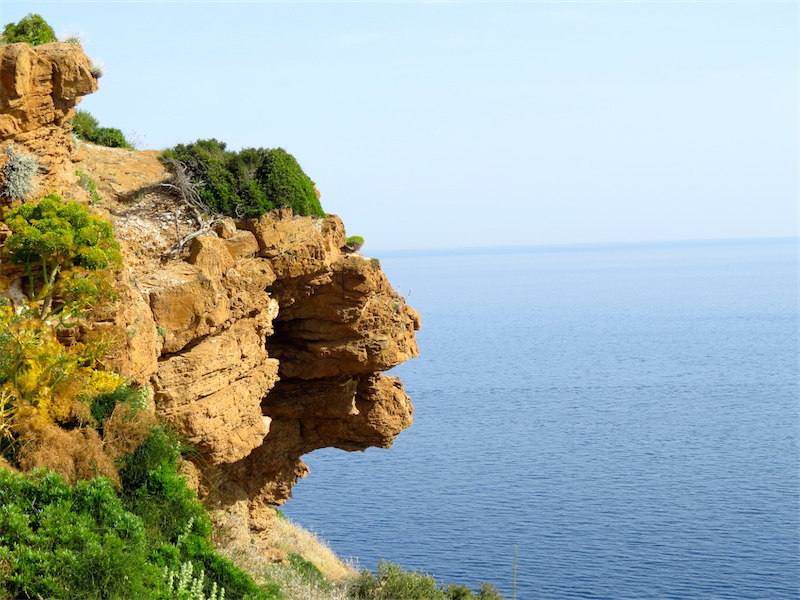 It was once a large cavern that collapsed following an earthquake, probably during the early Middle Ages. 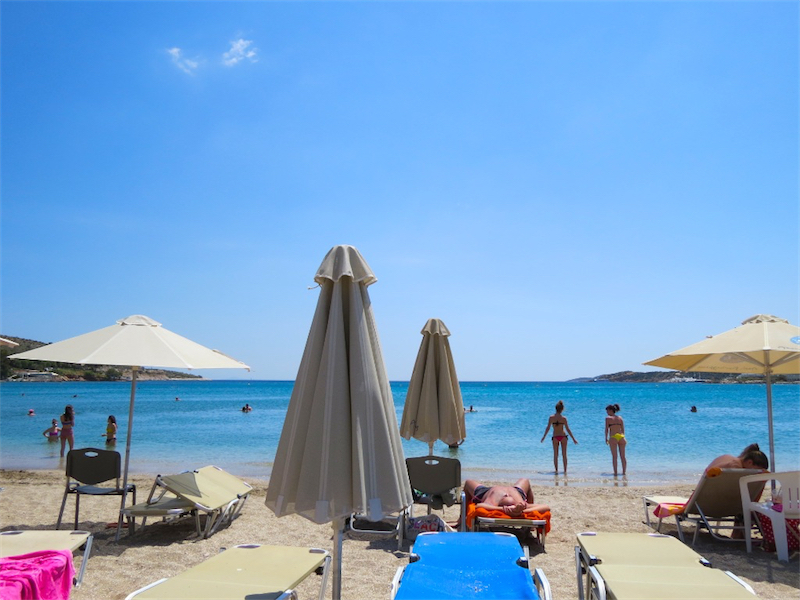 Because of its constant and comfortable water temperature, the lake functions as a year-round spa. 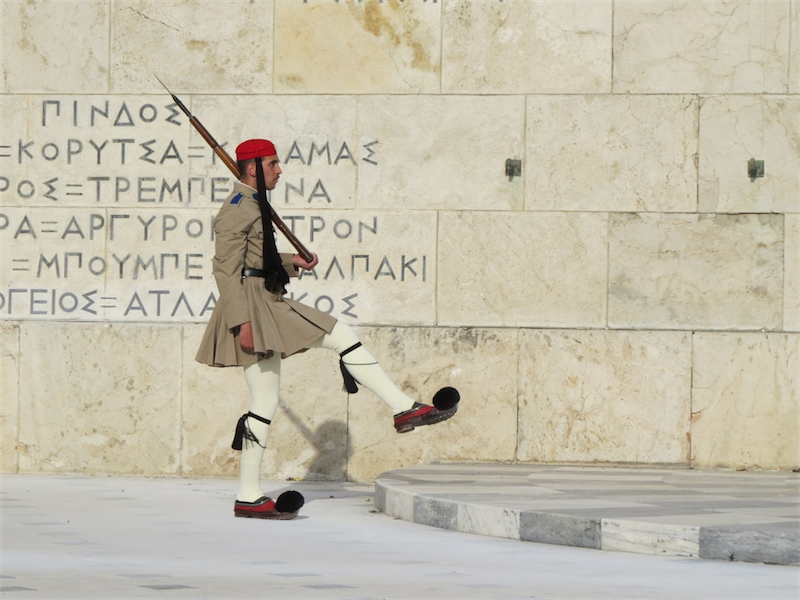 The changing of the guard at the Greek Parliament. 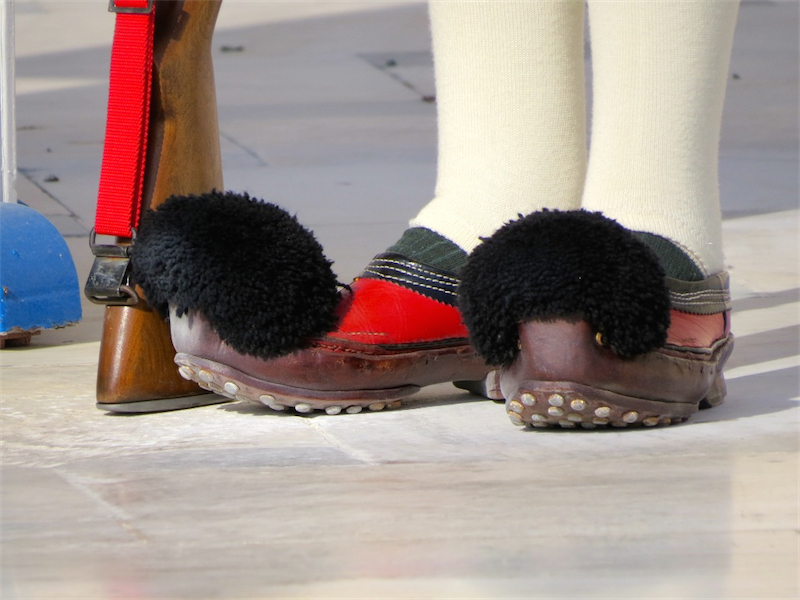 The guards kindly oblige tourists with a photo op. 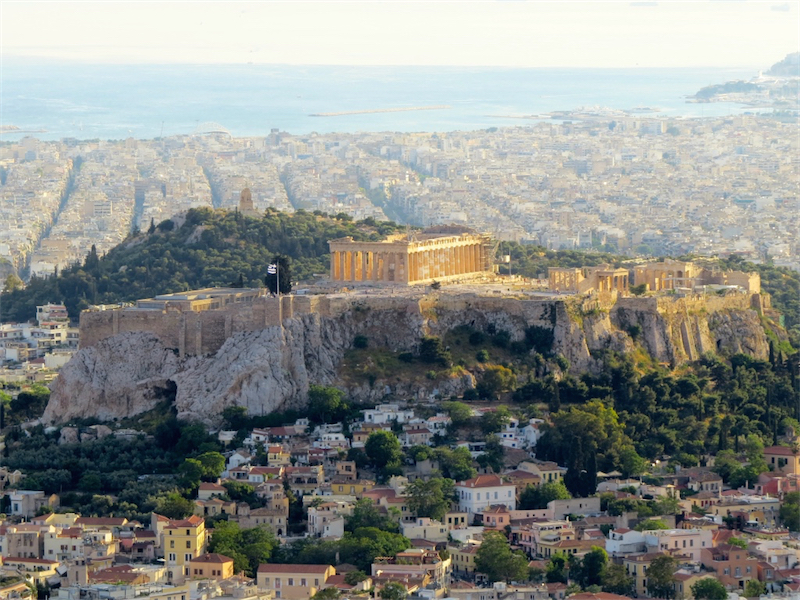 A view of the Acropolis and the Parthenon from Mount Lyccabettus. 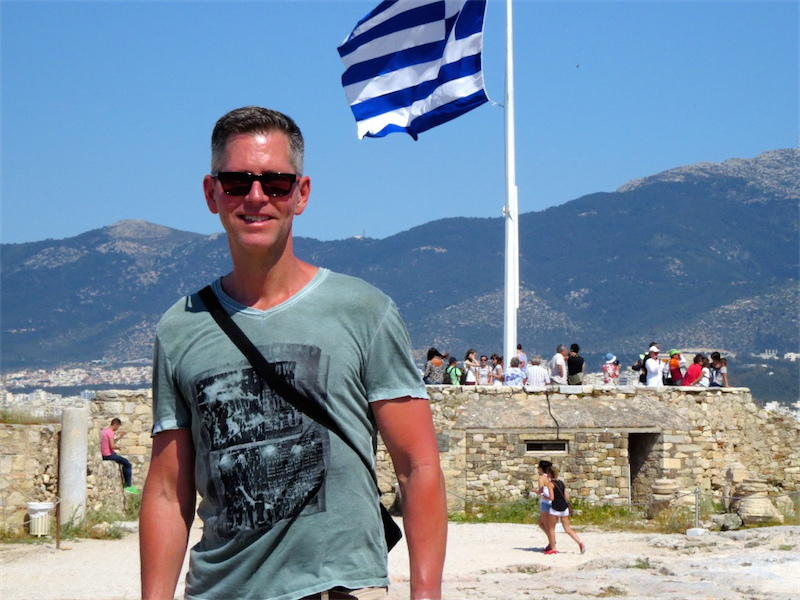 Ian on Mount Lyccabettus with the Acropolis in the background. 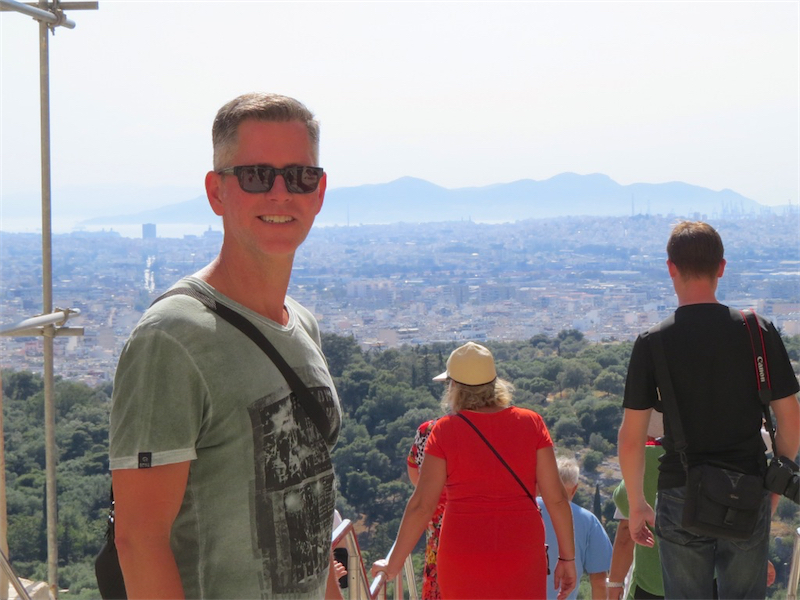 Allan on Mount Lyccabettus with the Acropolis in the background.